8.7 kg. , 19.1 lbs. 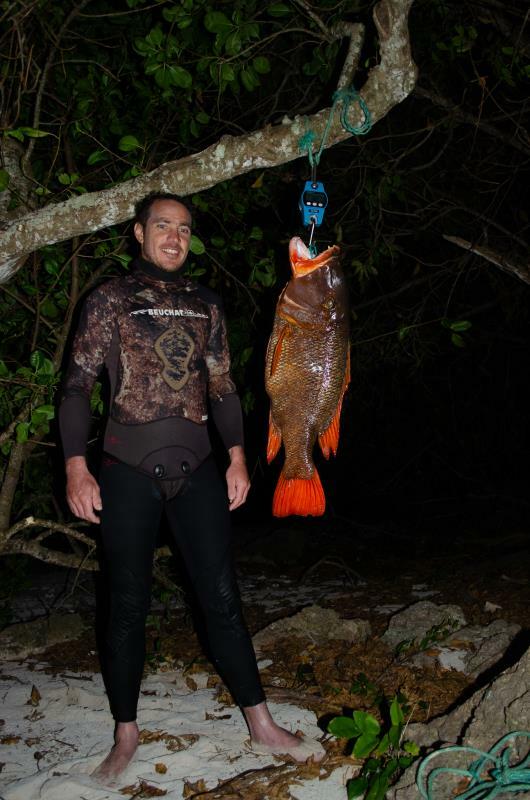 I dived down over a coral head searching for bream and emperor, lined up on a large big eye bream then saw the big lips of an emperor in my preifereal. It looked really big so I sunk lower into the cavity I was hovering above leaving my flopper above to try lure the fish in as I'm sure it hadn't seen me yet. The fish came almost into range before realising something wasn't right, I closed the gap and shot.